Butch. A butch woman. A woman who has masculine traits, behaviours and styles. For The Butch Monologues, playwright Laura Bridgeman interviewed numerous butch-identifying women living in America, the UK, Europe and the Caribbean. There are currently over 100 entries in The Butch Monologues, and 54 of these have been selected for the Melbourne premiere of this show to be read out by five members of the Melbourne queer community, some with little or no stage experience. The stage is bare except for one chair and a small round table, but once Fiona Jones, Anne Harris, Quinn Eades, Jax Jacki Brown and Jacques De Vere appear on stage, it becomes filled with the lives and personalities of the people whose stories are being shared. While the topics and themes that are raised vary from being humourous to affecting to profound, they all work towards highlighting the trials of butch identity and politics. In these vivid and heartfelt tales, we are privy to learn about the excitement one woman feels at buying a suit for the first time. Another one revolves around the fear of coming out to their family at 16 years of age and being disowned, with a third exposing the constant questions and threats of violence faced for simply using women's public toilets. Underlying many of these stories is the confusion of where exactly these people stand in terms of who they are and how they want to be recognised. 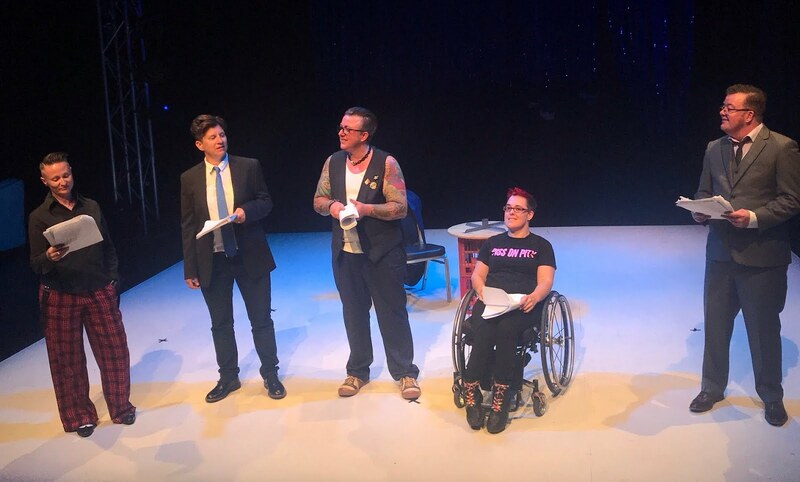 The Butch Monologues does not just celebrate butches, masculine women, gender rebels and transmen, but it also unites them and gives them a powerful voice filled with pride and strength. Bridgeman has put together a work whose impact is long lasting in its exploration of the difficulties that many people experience when trying to define their gender, identity and sexuality in a society that still seems to be stuck in a very binary world.